Doug has been involved in the supply chain side of the film and video business for over 30 years. 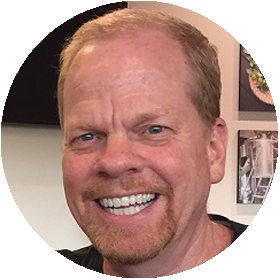 As the President of Allied Vaughn, Doug leads a team that has evolved from a physical goods manufacturer in the 80’s, to an industry leader bringing an expansive list of products and services aimed at meeting the needs of both content owners and consumers of today’s entertainment products. Providing a bridge from disc-based revenue to digital revenue - while addressing both the supply chain/ workflow and sales and marketing – has uniquely positioned Allied Vaughn to serve over 100 content providers including all major studios and TV networks. Mr. Olzenak is a lifelong resident of Minnesota with an educational background in Electronics. 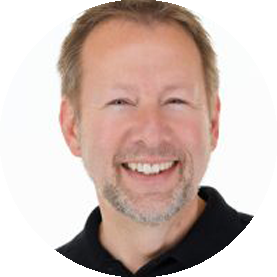 Mike is responsible for expanding both the digital and MOD (manufacture-on-demand) content libraries, as well as developing strategic relationships with new content providers and digital distribution platforms in the US and internationally. Before joining Allied Vaughn in 2015, Mike spent over 9 years at Amazon.com, where he managed business development and licensing activities for Amazon Instant Video, Amazon Prime Instant Video, and Amazon’s DVD on Demand services with a long and proven track record of strategic customer relationships in all facets of digital and physical content licensing and distribution. Before Amazon, Mike was VP of Home Entertainment for Sundance Channel, and also held senior positions with BMG Entertainment, CDNow.com, and West Coast Entertainment. Rick has been active in the video industry since 1979, beginning with Video Corporation of America. Rick later worked as Operations Manager for Technicolor with responsibility for production & fulfillment services. While a Partner and VP of Operations with Professional Video Services, Rick’s company was acquired by Allied Vaughn in 1996 leading him to become General Manager for Allied Vaughn with responsibilities for all facets of the Aurora, Illinois Media on Demand / Distribution facility. Richard manages Allied Vaughn’s Retail and Wholesale network in the sales and marketing of the AV MOD content library – working with them to maximize sales our Entertainment Film and Television DVD, CD and Blu-ray products. That role has him also working with our content provider in the strategic launch promotion of their titles. Richard joined Allied Film Laboratories in 1979 after working in the Detroit area motion picture production community. Over his career with Allied Vaughn, he has served in Customer Services, Film Laboratory/Video Production Supervisor, East Coast Regional Sales and National Sales Vice President. Richard is into film and is active in film related groups, festivals and movie fan clubs. He applies his film interest to world travel, seeking out film locations with a specialty for James Bond films, of which he has led groups of fellow 007 friends around the globe. Richard also created and co-produced the home video series “Imagineering the Magic” for the Walt Disney Company. Cindy is responsible for the development of new sales channels for Allied Vaughn DVD and Blu-ray products and expanding Allied Vaughn’s retailer client base. An avid sailor, Cindy resides in Minneapolis. Blair focuses on developing new products and services for the Company along with managing several aspects of the overall MOD business unit. Blair’s experience in the on-demand industry dates back to 2000, when he co-founded and became CEO of TangibleData, which developed on-demand manufacturing and fulfillment systems to help clients distribute digital content more efficiently. Allied Vaughn acquired TangibleData in 2002 – forming its entry into the MOD business our customers know today. Passionate about internet and consumer marketing, professionally Blair loves finding innovative ways to help customers and partners enjoy greater sales success. After hours, he enjoys the Colorado outdoors and plays in a Denver rock and roll band.